Oracle Open World is fast approaching and Blockchain is on the agenda. Oracle is preparing to welcome over 50,000 customers in San Francisco, CA the week of Oct. 22-25 at Moscone Center. In July, Oracle announced the general availability of their Oracle Blockchain Cloud Service with early adopters like CargoSmart, Certified Origins, and Arab Jordan International Bank. 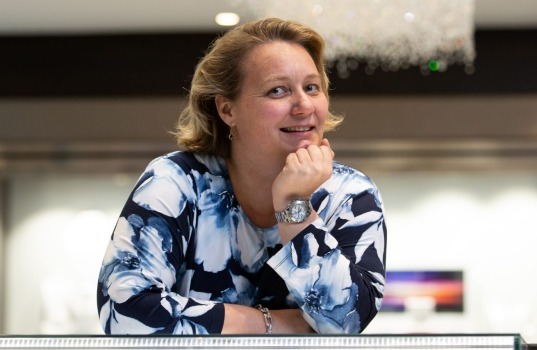 The Oracle OpenWorld conference will offer attendees the chance to hear directly from these customers as well as some of the foremost Blockchain industry experts in the world like Leanne Kemp, CEO of UK Blockchain start-up Everledger. The conference offers use cases, hands-on labs, demos and perhaps most importantly the opportunity for customers to have interactive discussions with developers and users. Why is Blockchain technology so hot? A few simple reasons. Putting data on the digital ledger of Blockchain enables organizations to quickly share data in a secure environment. Blockchains can be public or permissioned. Public blockchains are completely open to all users and governed by consensus algorithms. Permissioned blockchains are set-up to only allow those who have been granted permission to certain transactions or data to have access to it. How to Utilize Oracle Blockchain in the Banking Industry [BOF5018] ICS Financial Systems, a company that provides software and services for banks and financial institutions, will discuss a successful blockchain trial using Oracle Blockchain Cloud Services. Making Enterprise Blockchain a Reality: Oracle Blockchain Use Cases [BUS4591] This session showcases customer and partner solutions in financial services, supply chain, and other verticals and explains how customers identify applications suitable to enterprise blockchain. In this session hear from KPMG and Oracle as they share their perspective and experience with designing, deploying, and enabling cross-border movement of unfinished and finished goods from source to delivery within global supply chains. The teams also describe the tax trade and customs benefits companies will gain by leveraging smart contracts on a distributed ledger and cloud infrastructure. Blockchain: A Killer App for Enterprise Digital Transformation [PRO5856] This session will feature executives from Oracle and Ephlux presenting a complete “track n trace” capability across an integrated pharma supply chain connecting the production equipment, suppliers, partners and distributors via a universal ledger keeping a real-time account of everything happening in your procurement, warehouse, production floor and the distribution network. Authenticating Beer Ingredients with Blockchain Attendees will have the opportunity to try beers with ingredients authenticated by using Blockchain technolog. After tasting the beers, attendees can then vote for their favorite beer on our mobile app. These are just a few of the blockchain sessions coming up at OpenWorld. Bookmark this blog post to stay-up to date as we'll add new sessions until the conference date! Oracle's Blockchain Cloud Service is built on top of the Linux Foundation’s Hyperledger Fabric. It is pre-assembled with all the underlying infrastructure dependencies, container lifecycle management, event services, identity management, REST proxy, and a number of operations and monitoring tools integrated under a single console, expediting the set-up and application development process. Oracle Blockchain Cloud Service is an Oracle-managed cloud platform backed by a 99.95 percent availability SLA, with built-in high availability configuration, autonomous recovery agents, as well as continuous ledger backup capabilities that can enable multi-data center disaster recovery across availability domains. Sign-up for a complementary Oracle Blockchain Cloud Service trial today.